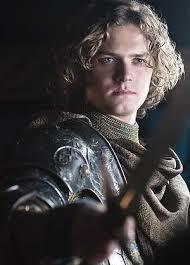 As first reported by That Hashtag Show, it looks like 'Game of Thrones' actor Finn Jones is indeed the titular character for Netflix's 'Iron Fist' Marvel series. Entertainment Weekly is one of the outlets confirming the casting. Jones will play Danny Rand who as a young boy traveled to the mystical city of K’un-L’un. He is eventually adopted by the city’s ruler and taught superior martial arts and the power of the Iron Fist. He later returns to his native New York to begin crime fighting. No release date has been set for the fourth Netflix/Marvel series however it's speculated to debut in 2017. It'll follow Daredevil (Season 2 premieres March 18), Jessica Jones, and the upcoming Luke Cage. All four heroes are planned to team up Avengers-style in a series called The Defenders. Scott Buck (Dexter) will be the showrunner for Iron Fist. Jones has also appeared in Hollyoaks, The Last Showing and Sleeping Beauty. He's set to appear in the sixth season of Thrones for HBO. 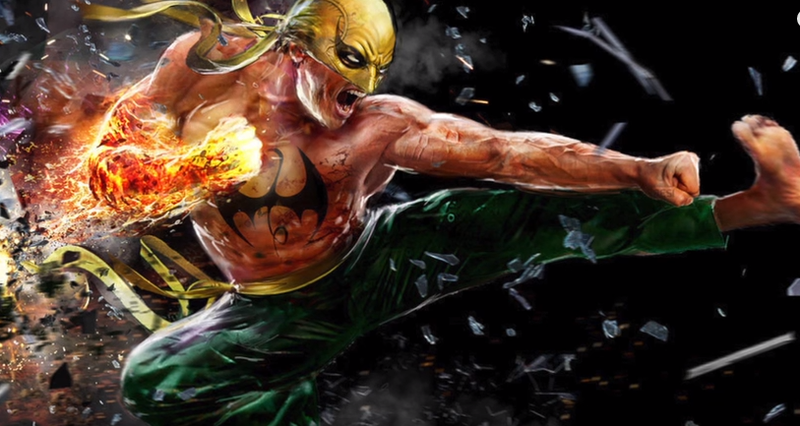 Despite an online campaign to convince Marvel to consider an Asian-American actor for the role of Danny Rand, using the hashtag #AAIronFist, advocates were disappointed but not entirely surprised. While Rand has historically been white in the comics, the opportunity to not only diversify the Netflix show but replace the "white savior" trope with the empowerment of an Asian-American's own heritage. Fans on twitter took notice of the decision to keep the Marvel status quo. Was the decision to cast Jones as Rand as simple as Marvel choosing to adhere to comic book canon in this instance (Daredevil's Elodie Yung is of Cambodian and French descent plays Elektra Natchios who is traditionally Greek in the comics)? Yes. It's just disappointing that an opportunity was lost to broaden the diversity of the Marvel Cinematic Universe despite many fans of all backgrounds calling for it. As far as people of color who are the lead character in their Marvel production, only Luke Cage (Netflix) and Black Panther (film) are scheduled. Danny Rand being white IS HIS BACKSTORY. Unlike Nick Fury, Aquaman, etc..
Danny Rand roots exist as part of a white boy meets Eastern ideals where being white IS a detriment. In a strange land where he was the minority, he found his way and excelled despite diversity. Do all races deserve to be represented fairly in media? Of course. But not by taking away the very thing that made the character who they are. I'd sooner see a black (or Asian or Hispanic) Batman than a non-white Danny Rand. (Again, because Batman's origin is not based primarily on his race. It's a moot point now since they chose to go with the traditional version of Rand but there could have been ways to incorporate an Asian-American Iron Fist in the story. Perhaps at some point Marvel will find lead characters of color to helm their own series/film but Luke Cage and Black Panther are the only ones so far.